In the run-up to the Winter Olympic Games in South Korea, thyssenkrupp would like to wish the best of luck to one team of athletes in particular: the lugers Toni Eggert and Sascha Benecken. That’s because they’ll be riding down the icy track in Pyeongchang on steels made by Steel. When were the first Winter Olympics held? Correct. The venue that year was Chamonix, France, close to Mont Blanc. Athletes from Germany did not participate; they first competed in the Winter Olympics of 1928. Incorrect. The first modern (Summer) Olympics were held in 1896. They should have actually been called the Spring Olympics, since they were held in April. Unfortunately, that’s incorrect. 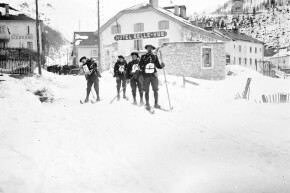 Although the Olympics were held in Germany for the first time this year, and included Alpine skiing for the first time, other Winter Olympic Games had already been held elsewhere. Which nation has won the most medals at the Winter Olympics, up to and including the Games of 2014? Correct. German athletes have won 377 medals to date, of which 136 are gold, 135 silver, and 106 bronze. Unfortunately, that’s incorrect. Russian athletes have competed at the Winter Olympics 16 times to date and have won a total of 341 medals. Incorrect. Norway comes in at third place with a total of 329 medals. What is the oldest Winter Olympic sport? That’s right! Interestingly, this sport was already included in the Summer Olympics of 1908, since there weren’t any Winter Olympics at that time. However, ice dancing did not become an Olympic sport until 1976. Incorrect. Luge did not become an Olympic sport until 1964. Unfortunately, that’s incorrect. 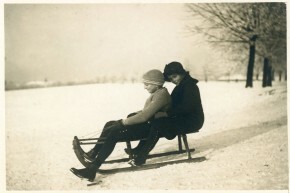 Men’s four- and two-man bobsleigh teams competed in the Winter Olympic Games for the first time in 1928. Women have been competing in bobsleigh since 2002, but only in two-woman teams. 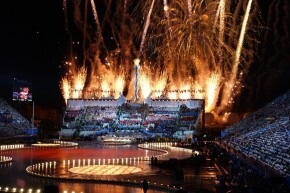 Which country has hosted the most Winter Olympic Games to date? Which of the following sports is included in the Olympics? Correct! This sport is divided into five subdisciplines, but only three of them are Olympic sports; these became part of the Games in 1992. Unfortunately, that’s incorrect. Unlike Olympic snowboarders, monoskiers stand with their feet parallel to one another on a small board and use ski poles. Incorrect. Kite skiers ride Alpine skis or snowboards as a kite pulls them across the snow. 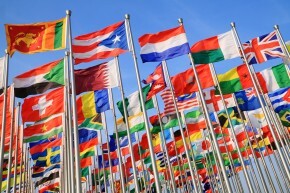 Which country is home to the most-decorated Winter Olympic athlete? Correct! According to the all-time Olympic Games medal table, biathlete Ole Einar Bjørndale holds the greatest number of medals for a Winter Olympic athlete. Between 1998 and 2014, he won one bronze, four silver, and eight gold medals. Unfortunately, that’s incorrect. The most successful German Winter Olympic athlete to date is the speed skater Claudia Pechstein, who, with a total of nine medals (five gold), is the fifth-most-decorated Winter Olympic athlete. Incorrect. Speed skater Bonnie Blair comes in at ninth place, making her the most successful American Winter Olympic athlete, followed by her countryman Eric Heiden, also a speed skater. The Olympic what now? You’re not really into sports, are you? It’s okay if you’re not a big fan of the Olympics – read up a bit on Wikipedia and try another round! 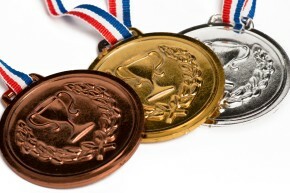 Take your place on the victor’s podium: Your Olympic trivia knowledge is medal-worthy. You can show off your stuff when you’re watching the Games with your friends. Or maybe you’re the type who prefers to lead an active lifestyle instead of watching others play sports. In that case, why don’t you get off the couch and hit the slopes! How did you like the quiz? What topics would you like to see in the next one? Let us know – we look forward to hearing your ideas.